For 28 years, a team of researchers has been casting nets into Puget Sound to find out what the fish can tell them about toxic pollution in both urban bays and remote inlets. Now, following extensive analysis, these researchers have released some surprising results — with discouraging findings for one group of pollutants and hopeful signs for others. Polychlorinated biphenyls (PCBs), a class of oily chemicals once used in a wide variety of applications, stubbornly persist in fish tissues 38 years after their use was widely banned in the United States. Concerns remain high for the health of people who eat fish laden with PCBs, and experts warn that the entire Puget Sound food web remains at risk. Other chemicals, however, including toxic flame retardants, seem to be disappearing from Puget Sound fish at a rate that has surprised even the researchers. The dramatic decline in flame retardants containing polybrominated diphenyl ethers, or PBDEs, is raising the hope that these chemicals will no longer be a concern in the not-too-distant future. PCBs and PBDEs are both large groups of compounds, and some chemicals in the two groups are known to be more toxic than others. Based on animal studies, even low levels of these compounds may cause cancer; trigger reproductive problems; reduce the body’s immune response to disease; and impair kidney, nerve and metabolic function. In Puget Sound, and throughout the world, levels of PCBs declined rapidly after they were banned in the 1970s. The hope, of course, was that PCBs would eventually fade out of existence. But that has not happened. “Across the board, we’ve seen either no decline or even increases in our English sole, which is really kind of shocking considering all the remediation that has been going on,” said Jim West, a toxicologist with the Washington Department of Fish and Wildlife. 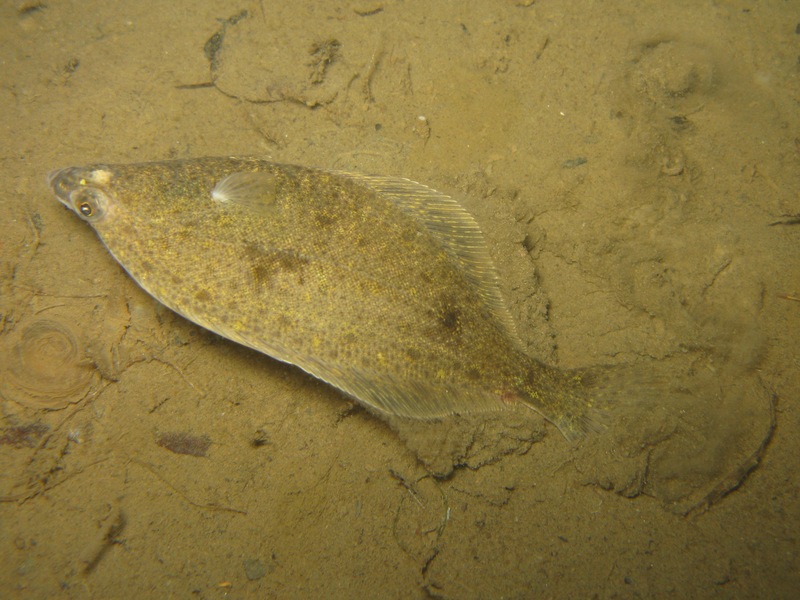 English sole are flatfish that live on the bottom of Puget Sound and pick up contaminants from sediments through the food they eat. The new study reports that PCB levels in these fish have not declined in any location sampled in Puget Sound over an 18-year period. In fact, levels appear to be increasing in the urban bays of Seattle and Tacoma, as well as moderately developed areas near Everett and in Bainbridge Island’s Eagle Harbor, according to the new report by West and co-authors Sandie O’Neill of WDFW and Gina Ylitalo of NOAA’s Northwest Fisheries Science Center. Authors of the study regarding toxic chemicals in fish are researchers Jim West and Sandie O’Neill (center) of the Washington Department of Fish and Wildlife and Gina Ylitalo of NOAA’s Northwest Fisheries Science Center. The failure of PCBs to decline in bottom fish is not simple to explain, West said. One factor is that these chemicals were so widely used in electrical equipment, building materials and even automobiles that they are still getting into stormwater and eventually making their way into Puget Sound. “Even though the production and use of PCBs has been banned, I would say there are still sources (of PCBs) coming into Puget Sound,” West said. Another factor that could expose bottom fish to PCBs is the dredging of contaminated sediments, either to improve navigation conditions or to clean up the sediments themselves. 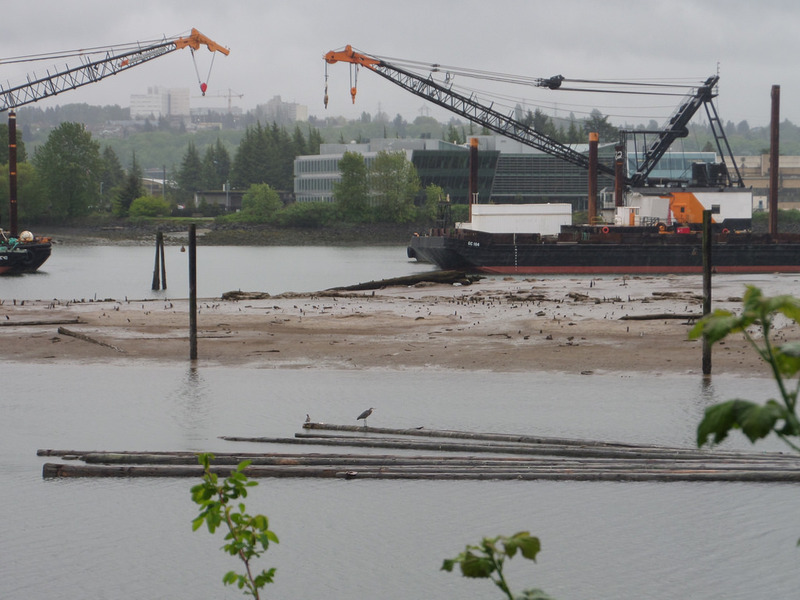 During a cleanup operation in Seattle’s Duwamish Waterway in 2006, a contractor accidentally allowed a plume of pollution to disperse. The following year, higher levels of PCBs were measured in bottom fish. 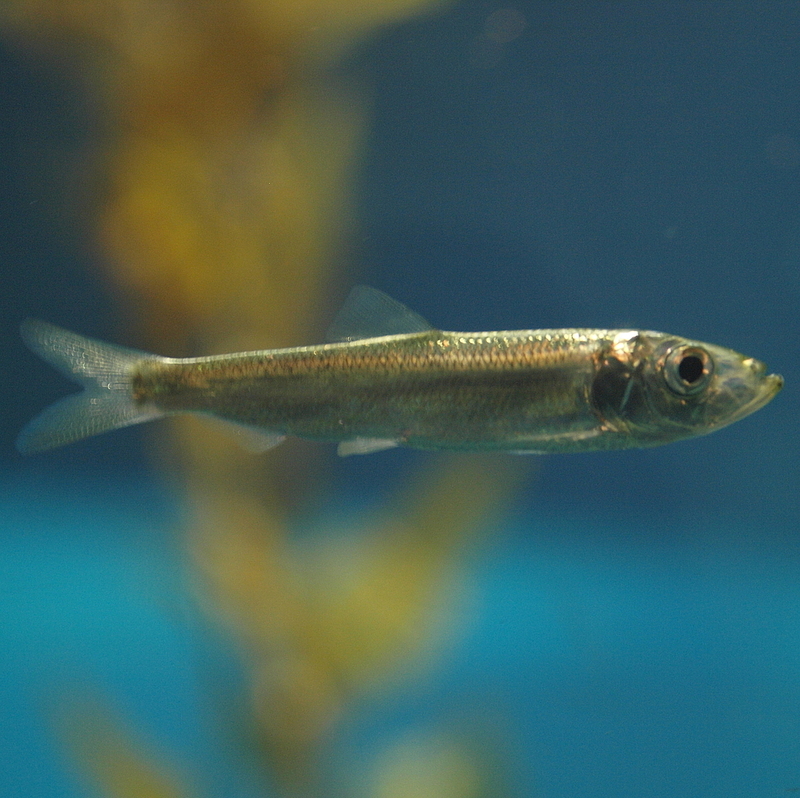 West and his colleagues tell a somewhat similar story regarding PCBs in Pacific herring. These are small fish considered central to the Puget Sound food web. Herring pick up PCBs by eating plankton and then pass on the toxic compounds to a variety of fish, including salmon, as well as birds and marine mammals. Similarly, top predators such as killer whales accumulate PCBs at the highest levels of all. Killer whale experts have expressed concerns about how these toxic compounds may be impairing the reproduction and immunity of the Southern Resident orcas that frequent Puget Sound. PCBs in herring were sampled in four locations in Puget Sound. Levels declined in the relatively undeveloped areas near Semiahmoo and Cherry Point in northern Puget Sound, but they were relatively unchanged in a Squaxin Island stock that swims around South Puget Sound and a Port Orchard stock associated with Central Puget Sound. New health warnings for herring? The ongoing findings of high PCB levels in herring will probably trigger new health warnings from the Washington State Department of Health, according to Dave McBride, a toxicologist with the agency. Until recently, it was assumed that almost nobody eats herring, although longtime health warnings have been in effect for chinook salmon, which prey on the smaller fish. New information from an advisory group addressing toxic chemicals in the Duwamish Waterway suggests that some people are eating herring from the Duwamish, despite warnings against eating any resident fish from the waterway. McBride said he plans to issue a new health advisory about the risks of eating herring from various locations in Puget Sound. Not all of the news was bad. While concerns about PCBs remain unabated in the latest findings, toxic flame retardants appear to be on the decline for Pacific herring in most places around Puget Sound. West said the researchers went through an extensive analysis to make sure that the decline was not related to other factors — such as size, since herring are getting smaller over time. Health concerns over flame retardants were running high throughout the U.S. in 2007, when Washington state banned the most toxic forms of PBDEs. Such flame retardants had been widely used to reduce the risk of fire in furniture, automobiles and computers. After the ban, concentrations in herring began to decline, yet the chemicals continued to accumulate in other animals, including marine mammals, until recently. In every location sampled, herring have shown less and less flame retardants over time, with annual declines up to 8 percent. Why are toxic flame retardants disappearing from the environment while PCBs stubbornly remain in circulation? The answer is not clear, but it may come down to the way people used the chemicals, West said. Toxic flame retardants were generally used in indoor products, such as in furniture cushions and electronic components. It is believed that the chemicals get into the air and attach to clothing and fabrics that go through the wash. A portion of the chemicals pass through sewage-treatment plants and into Puget Sound. Many of the products containing flame retardants eventually end up in landfills, where the risk of exposure is low. PCBs, on the other hand, were widely used in outdoor electrical components, such as transformers, and in building materials. In some communities recycled PCB oil was even sprayed on roads to reduce dust. Because of widespread outdoor contamination, PCBs are likely to continue working their way into Puget Sound well into the future. Some people are still being exposed directly to flame retardant chemicals through old furniture and electronics still in their homes, said Holly Davies, toxics policy coordinator for the Washington Department of Ecology [Since this interview, Ms. Davies has taken a new position at the Washington State Departmet of Health]. Health effects, especially for children, may continue to be a concern until the old materials are replaced. Unfortunately, she said, some of the newer flame retardants have proven to be no better than the ones that were banned. In fact, the Washington Legislature last year banned five additional flame retardants used as replacements. Some of these chemicals have begun showing up in fish tissue at low levels. 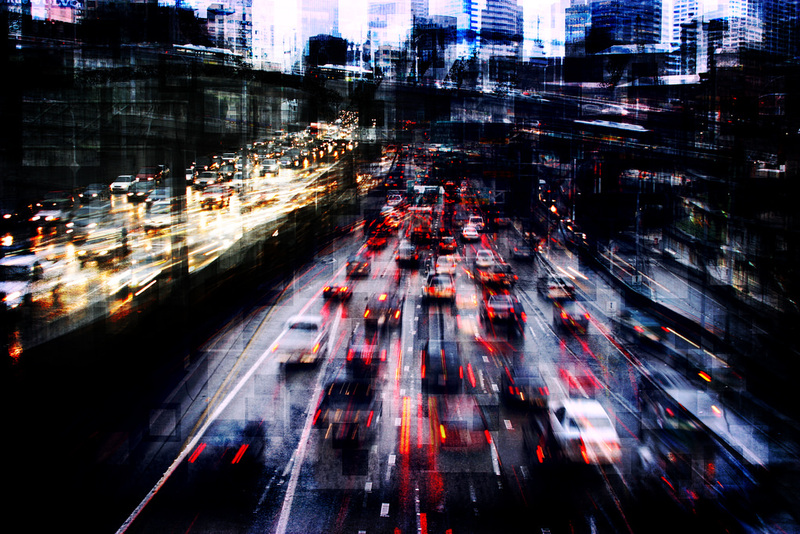 “We are trying to figure out which alternatives are safer,” Davies said. Because both PCBs and PBDEs accumulate in fat tissue, older animals tend to accumulate more chemicals, West said. His study focused on herring that were typically 3 years old, but the English sole could be up to 20 years. That could help explain some of the differences in tissue levels between herring and sole. As with the herring, some of the English sole showed significant declines in flame retardants over time. Specifically, sole caught near both Seattle and Bremerton — two highly developed areas. — showed notable declines, along with fish caught near remote Vendovi Island in northern Puget Sound. But for six other locations around the Sound, concentrations in the sole did not decline much, if at all. While the levels of flame retardants in herring are on the decline, the levels are still high enough to cause health problems, based on findings in other studies. Another long-lasting pollutant, DDT, also was tested in the study and found to be of low risk to Pacific herring and English sole. The one exception was English sole taken from the Tacoma City Waterway, where the fish were showing an annual 5-percent increase in the concentration of DDT. Sources for the DDT could include farmlands along the Puyallup River, which spills into the city waterway. Studies have shown that DDT in soil can continue to leach from agricultural lands after many years. The waterway also has been subject to dredging and other cleanup activities, which might have released DDT that was buried in the sediments. Because PCBs are not disappearing on their own, the new study suggests that more aggressive actions may be needed to eliminate these oily compounds from the bottom of Puget Sound, even as efforts continue to disrupt their flow into the waterway. The Department of Ecology developed a strategy, known as a chemical action plan, to reduce PCBs in the environment, but implementation has been slow because of limited funding, Davies said. Meanwhile, a team of experts is just beginning to take a new look at the problem by developing an “Implementation Strategy for Toxics in Fish.” The idea is to accelerate efforts to meet Vitals Signs targets adopted by the state's Puget Sound Partnership. Specifically, the goal includes reducing PCBs and toxic flame retardants to levels safe for herring and sole as well as humans who eat them. As a result of more stringent water-quality standards, sewage-treatment plants may be required to upgrade their equipment to reduce PCBs in their effluent, Davies said. The problem, she added, is that the ban on PCBs in the 1970s still allows for their use at levels up to 50 parts per million. That seemed like a very low level when the ban was imposed, she said, but it still allows for some PCBs to escape into the environment. 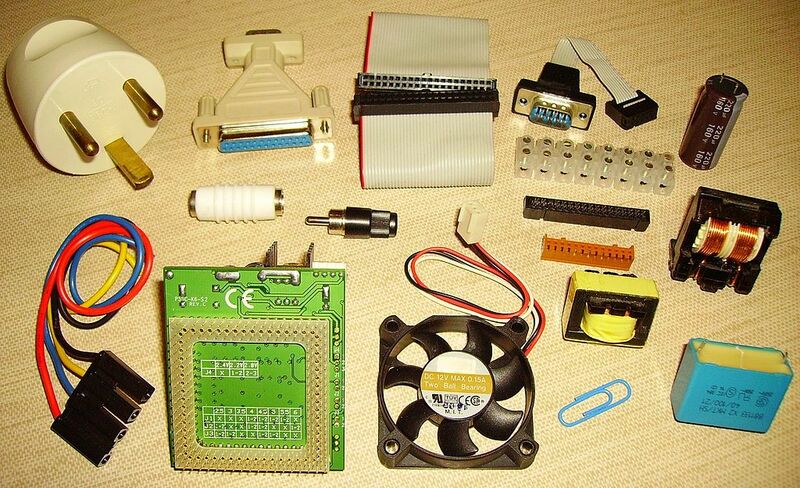 One low-level source of PCBs are the pigments and dyes used in printing and other applications. Through no fault of their own, newspaper-recycling operations as well as sewage-treatment plants may find their wastewater discharges in violation of new water-quality standards that placed PCB limits at 170 parts per quadrillion — or millions of times lower than the 50 ppm still allowed in the inks. These PCBs were not seen as a significant contributor to the fish studies, but remain on the radar of state regulators. Because of the high cost of equipment to remove PCBs from wastewater, the Department of Ecology is pushing the federal government to further lower the legal limit for PCBs in various products on the market. In another effort to limit the release of PCBs, the state of Washington is implementing new incentives in state purchasing contracts. Companies will be asked to use products containing the lowest levels of PCBs possible. One example is to practically eliminate PCBs from the yellow paint used to stripe roads throughout the state, Davies said. Yellow pigments contain some of the highest levels of PCBs still on the market. Through the years, much has been learned about the hazards of PCBs and toxic flame retardants, Davies said. Still, cutting off the sources of these chemicals to make Puget Sound seafood safe to eat remains one of the great environmental challenges of our time. 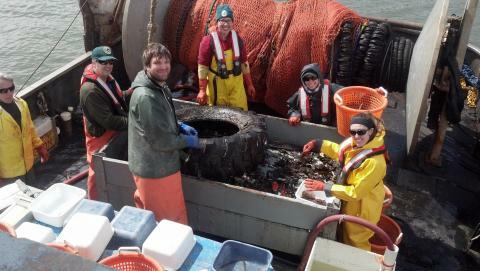 The new report, titled “Time Trends of Persistent Organic Pollutants in Benthic and Pelagic Indicator Fishes from Puget Sound,” was published online May 20 in Archives of Environmental Contamination and Toxicology. A summary of the paper is included in a new synthesis report “Salish Sea Toxics Monitoring Review: A Selection of Research” published by the Puget Sound Ecosystem Monitoring Program. NOAA: Ocean Facts: What are PBDEs?